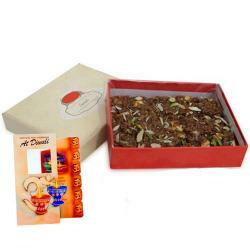 Product Consist : Cadbury Celebration Chocolate Pack (Weight : 140 Gms) with 2 Cadbury Dairy Milk Chocolates Bar (Weight : 13Gms each) along with Assorted Fire crackers (Worth Rs.300/-) (Note: Types of Fire Cracker are depends upon their availability no specific choice). 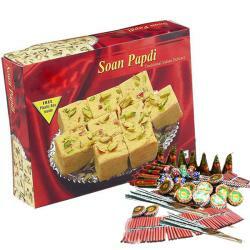 Send this alluring gift hamper to your dear ones that comprises of one beautiful greeting card which is perfect to write down your message for your dear ones along with one packet of toothsome Cadbury Celebration Chocolate. 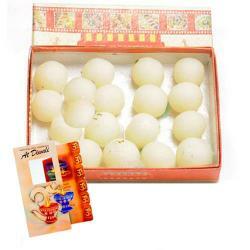 This mind blowing gift hamper is all set to deliver your warm wishes and blessings to your dear ones. 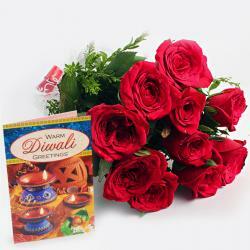 So book it now and make your dear ones Diwali celebration a special one. 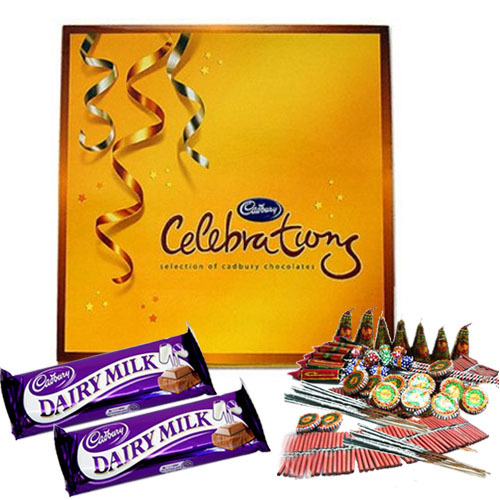 Product Consist : Cadbury Celebration Chocolate Pack (Weight : 140 Gms) with 2 Cadbury Dairy Milk Chocolates Bar (Weight : 13Gms each) along with Assorted Fire crackers (Worth Rs.300/-) (Note: Types of Fire Cracker are depends upon their availability no specific choice).